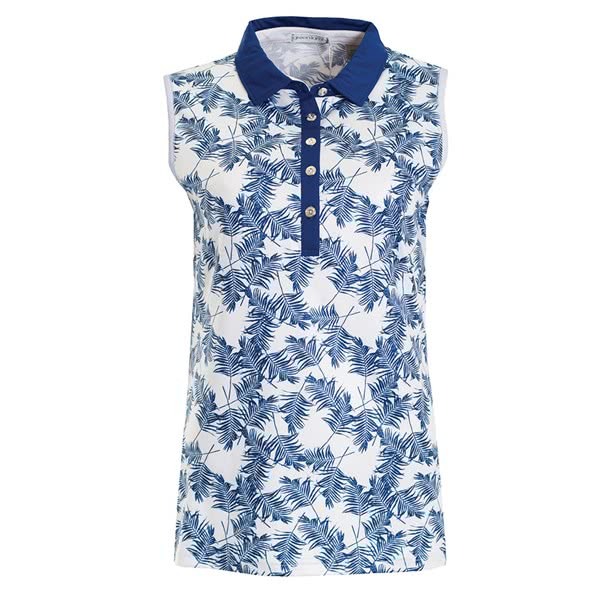 The Green Lamb ladies Pearl Sleeveless polo shirt is all about showing off and making a statement during the glorious summer months. 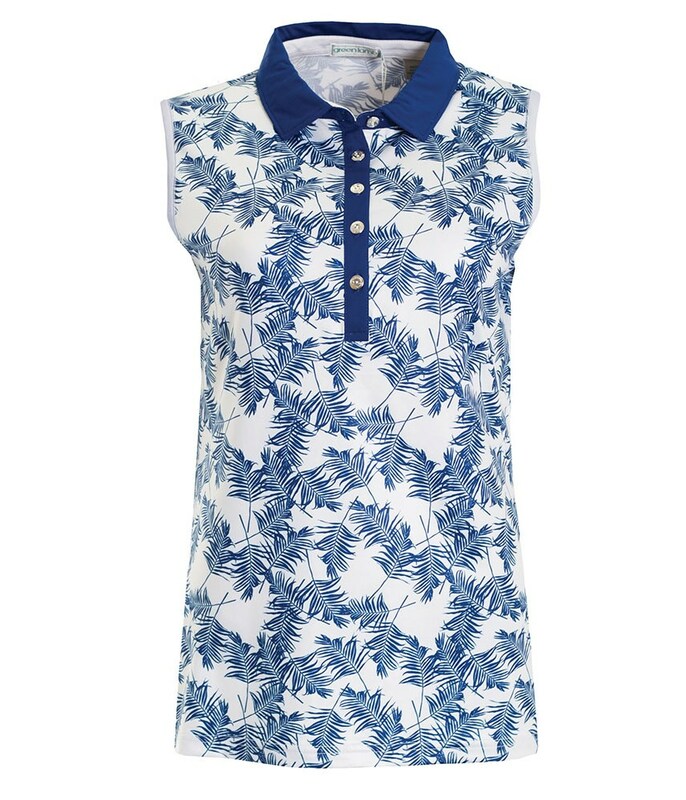 Green Lamb have used an allover striking pebble or palm print and contrasted it with a solid collar and placket to make it look as good as the fabric performs. This high performance fabric features a technical stretch that will enhance your mobility and provide a flattering fit with its feminine silhouette cut. To deliver incredible performance the fabric is also breathable, quick-drying and moisture-wicking as well as offering UV protection. For enhanced comfort bra clips have been added to the shoulders to keep your bra straps in place.